Schaeffer himself may have relegated Orphée 53 to a pile of failed experiments. I, however, was drawn to rethinking the project on its own terms by considering its potential to broaden the conceptual role of the composer in light of new methods for music making in midcentury France. Such questions sparked my first entry into Schaeffer’s world, which was enlivened by his own copious writings, his recordings of radiophonic art and musique concrète, and later by archival materials as well—administrative documents, radio program transcripts, correspondence, personal notes—housed outside of Caen at the Institut Mémoires de l’Éditions Contemporaines (IMEC). Schaeffer’s material and audiovisual archival traces highlight his multifaceted career. He was at once an author, sound engineer, radio artist, administrator, musician, and mentor to interns and junior employees in the studios he directed for French state radio (Radiodiffusion Nationale and its postwar successor Radiodiffusion Française). 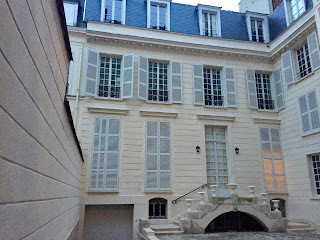 It was at these radio studios under French state patronage that Schaeffer pursued his multifaceted career, and radio mattered to his creative work in two interrelated ways. First, as an institution, radio facilitated Schaeffer and his team’s access to particular resources, both technological and human. Making the radio programs that Schaeffer wrote, directed, and produced for the Studio d’Essai between 1942 and 1945, for example, required the institution’s machines and network of people comprising bureaucrats, technicians, and artists. When he would in 1948 orient his experiments toward more strictly musical concerns by founding the Groupe de Recherche de Musique Concrète (GRMC), much of the human and technical infrastructure was already in place. Second, radio mattered as a medium, both as a type of transmission and of creation itself, shaping not only who listened, but also where, why, and how they might do so. My dissertation, Listening to a Liberated Paris: Pierre Schaeffer Experiments with Radio, starts a conversation about the ways in which radio mattered to the creative labor, collaborative process, creation, and diffusion of Schaeffer’s music. Drawing appropriate attention to radio in Schaeffer’s career provides needed context for both the musique concrète project and for Schaeffer’s theoretical writings on the phenomenology of sound. The recent translation of his Treatise on Musical Objects makes the latter particularly apt. I argue that Schaeffer’s musique concrète compositions and his theories of sound perception are best understood as parts of a broader project with radio at its center. 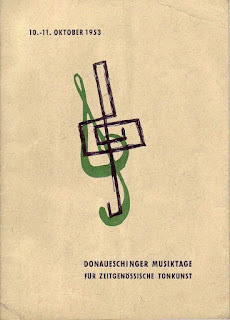 To do this, I analyze the largely overlooked radio programs that Schaeffer’s produced from 1942–1947, revealing the origins of many sources and techniques Schaeffer would use in his musique concrète works, from his Cinq Études de bruits (1948) to Orphée 53, the work that sparked my interest in Schaeffer in the first place. Further, listening to his radiophonic art helps relocate Schaeffer—a figure who is often relegated to the pioneering fringes of postwar music histories—in an intellectual network at the heart of institutionalized French culture. The first half of my dissertation considers Schaeffer’s work building a model for making radiophonic art. Chapter 1 recounts Schaeffer’s upbringing, schooling, and his formative professional activities from 1936–1942. After exploring his interests in music, literature, and philosophy while pursuing a rigorous engineering degree at the École Polytechnique, Schaeffer’s first job for French state radio involved redeveloping the Paris Opéra’s live radio broadcasting system for its 1936–1937 season. Here Schaeffer used both his musical ear and his training as an engineer to choose which microphones to purchase, where to place them around the stage, and he trained recordists and musicians alike in the art of sound recording. The work, however, frustrated him. Capturing with precision opera singers as moving targets seemed futile next to his work recording in a studio, where he found that moving the microphone by even one centimeter had a profound impact on the sonic result. Schaeffer quickly turned his attention to the development of a proper radiophonic art, one that would study and leverage the inherent abilities of the medium, rather than attempt to retransmit other arts conceived for acoustic consumption. Chapter 2 focuses on Schaeffer’s founding role in 1942 at the Studio d’Essai, an experimental studio staffed by thespians, musicians, technicians, and poets dedicated to radiophonic production. The studio’s first major production, La Coquille à planets, an eight-episode radio opera, served as an experiment with the technical and artistic aspects of studio production, fostering new collegial relationships between artists and technicians from diverse backgrounds. Schaeffer collaborated closely with Claude Arrieu, who composed a full score for the work, and helped producer Maurice Cazeneuve developed a model for his role of metteur-en-ondes, responsible mainly for the montage of recorded scenes. 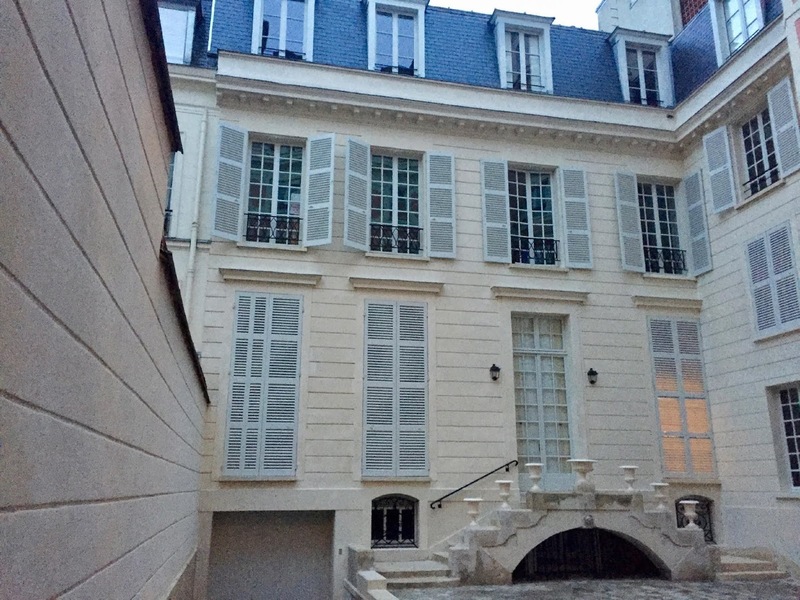 The Studio d’Essai also served national needs as well, producing the first official French broadcasts after the Liberation of Paris by Allied forces in August 1944. In his Chronique sonore de Paris libéré (1945), Schaeffer sampled footage from these broadcasts, which include speeches by General de Gaulle, cheering crowds, tolling bells, and a recording of La Marseillaise. Une Heure du monde (1946), the central focus of my third chapter, took Schaeffer's radio experiments to the world stage. With the war over, Radiodiffusion Française now used its technical and artistic acumen to reach international audiences and to flood the Parisian airways with the sounds of cultural internationalism. Throughout the series, Schaeffer’s audience encountered a global community through a wide sampling of recordings featuring speech, noise, and music from around the world. In the last episode, “Radio Babel,” Schaeffer considers a theoretical model for international radio communication where sounds, noises, musics, and speech interact in confusion. This episode indexes Schaeffer’s theories of acousmatic sound by training audiences to listen without context. Chapters 4 and 5 explore Schaeffer’s musique concrète project in light of his past experiences in radio production and point to continuities in techniques as well as a shared listener-centered creative approach. 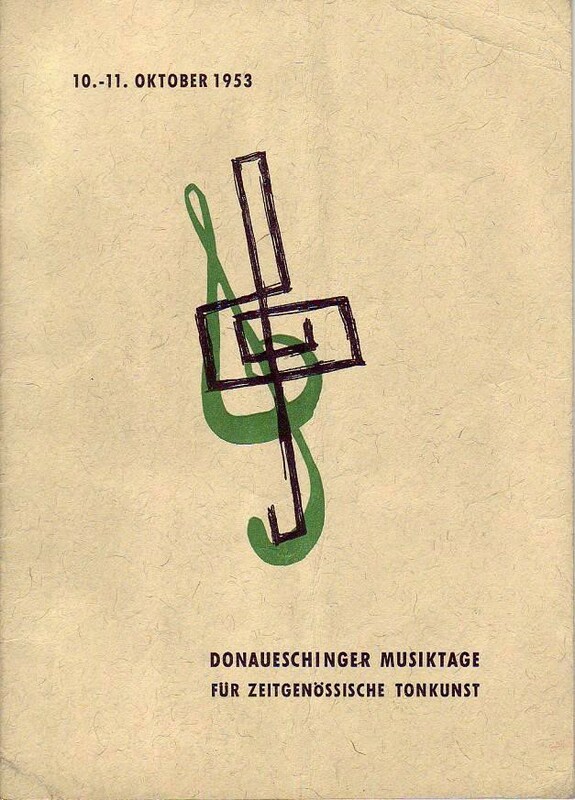 In Chapter 4 I analyse each musique concrète piece Schaeffer produced from 1948 through 1951, examining the sound materials used, their significance, and the contributions of Parisian musicians including Pierre Boulez, Gaston Litaize, and Pierre Henry. The chapter ends with a discussion of Schaeffer and Henry’s Symphonie pour un homme seul (1950), which I use to address two crucial aspects of the musique concrète project: the acousmatic concept (the perceptual implications of hearing sounds without seeing their source) and the studio’s concert culture in Paris and abroad. Both converge in my analysis of a 1952 Boston performance of Symphonie pour un homme seul as a ballet danced by Merce Cunningham, who uncannily reconnected manipulated sound fragments of recorded human gestures with live choreography. Chapter 5 draws on the institutional and aesthetic connections between radio and cinema in Schaeffer’s thought to examine Orphée 51 and Orphée 53. I put Schaeffer’s opera in conservation with Jean Cocteau’s film Orphée (1950) as I argue that the two works present analogous postwar interpretations of the mythic protagonist. Listening to a Liberated Paris broadens our understanding of Schaeffer, and expands the view of his impact beyond the electronic compositions and theories of sound perception for which he has risen in fame. Working from this expanded perspective, I situate these very aspects of his legacy to show how radio and experimentalism played formational roles in his interdisciplinary artistic and creative aspirations. This re-envisioning connects the previously disconnected spheres of experimental musical practices, and radio as institution and medium, in mid-century France. <1>Pierre Schaeffer, La Musique concrète (Press Universitaire de Paris, 1973), 23 via Simon Emmerson, Living Electronic Music (Ashgate, 2007), 77. Alexander Stalarow is a Collegiate Professor of Music History at the San Francisco Conservatory of Music. His research on Pierre Schaeffer has been supported by a Chateaubriand Fellowship and an Alvin H. Johnson-AMS 50 Dissertation Fellowship. He completed his Ph.D. in musicology at the University of California, Davis in 2017.